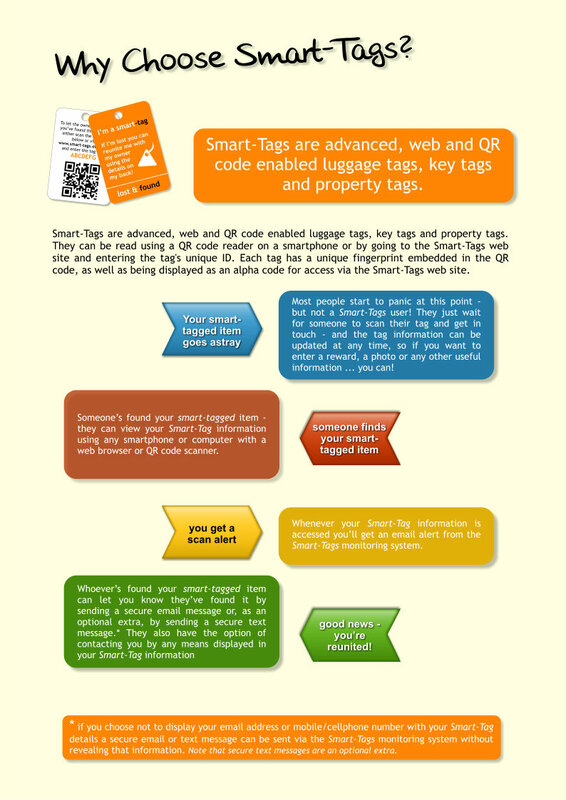 Smart-Tags are advanced, web and QR code enabled luggage tags, key tags and property tags. Available as Smart Luggage/Property Tags and Smart Key Tags, they're strong, durable and weatherproof - and GREAT value for money! Smart-Tags currently available are Smart-Tags Luggage Tag and Smart-Tags Key Tag. Unlike similar products which are made from laminated, synthetic material, Smart-Tags are made from 760micron plastic (the same as credit cards) - they're strong, durable and weatherproof. They're also the same size as a credit card, so you can put a Smart-Tag in your wallet in case of loss! Smart-Tag owners can add as little or as much information to each tag as they wish - a contact number, an email address, travel itinerary, whatever, wherever and whenever they choose. All they need to do is log in to their account on the Smart-Tags web site. 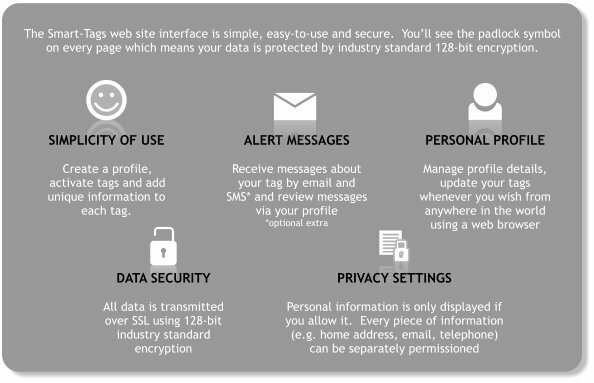 All information is protected by encryption and an SSL certificate.